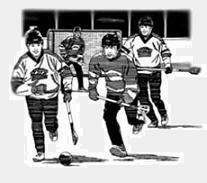 Midwest Broomball strives to provide the best possible e-commerce customer service and support by offering speedy, same day shipping and handling. By emailing us, you can be assured that your question will be answered promptly or give us a call during our normal business hours. Please plan on leaving a voicemail and we will happily return your call. Some online stores advertise that an item is available, but don't order it from the manufacturer until AFTER you place an order. Midwest Broomball operates its own warehouse and keeps our products availability updated. This means our customers are better informed and we can ship your order out faster. 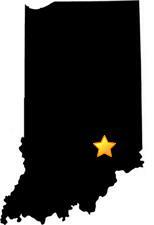 Orders to the state of Indiana are subject to a 7.00% sales tax. All other states are exempt from sales tax. We accept Visa, MasterCard, Discover, American Express, PayPal, purchase orders and cleared checks as forms of payment. *MWBROOMBALL* or *MIDWESTBROOMBALL* will show up on your credit card statement. PayPal and Check payments are payable to Midwest Broomball. All prices are in US Dollars.